Kant taught physical geography from the summer semester of 1756 until his retirement in 1797 when his course was cancelled. And his Critique of Pure Reason can be defined as nothing but the protocolar, systematic, radical and conscious realization of Ptolemy's Geography assumptions. According to Kantian analytics of pure intellect, metaphysical being is not an original data but a problem or a postulate. It poses questions on the nature of the projection point and, in particular, on the transition from its "objectivity" to the subjective form of representation. a movement that in the context of Kantian thought seems to represent exactly the metamorphic character of the projection mechanism. This is called "the design" according to which "reason has insight only into what it itself produces", as it is explained in the preface ofthe second edition of the Critique, a critique which is, in short, the illustration of a sort ofmental map ofthe projective drawing and its analysis. that begins not from the objects that are produced, but from the recognition of its function as producer of a particular mode of knowledge. In other word the Ptolemaic projection point is Pure Reason, and its Critique is the cartographic description ofprojection. The famous motto on silence that Kant borrows from Bacon and includes in his foreword to his Critique marks his intention to say no more concerning himself as geographer and the cartographic nature of his thought. Philosophy, Geography, Immanuel Kant, Space, Projection. This essay analyzes the geographical representations in the works of Hegel, Marx and Foucault as interfaces between world and theory starting from the thesis of the metaphorical character of geographical space. According to Giuseppe Dematteis, the geographical metaphors allow us to project the social order (existing or not) on the physical objects of the Earth's surface and represent Has if" it were the natural order of things, using the principles of materiality, spatiality and metaphorical efficacy. This is what happens in the works of Hegel, Marx and Foucault with the metaphors of "world", "globe" and "archipelago" respectively. Geography, Philosophy, Metaphor, Hegel, Marx, Foucault. The aim of the paper is to explore the relationship between philosophy and geography, starting from the second halfofthe past century. In 1976 Michel Foucault took part in an interview with the geographers of the radical French journal Herodote. At the end of his interview with the editors, Foucault says: "I have enjoyed this discussion because I've changed my mind since we started [. ..} Now I can see that the problems you put to me about geography are crucial ones for me [.. .] Geography must indeed necessarily lie at the heart of my concerns". For geographers these remarks signaled something of a vindication. The cultural turn in geography (1980) drew geographers explicitly on the influential work of French structuralists and post-structuralists. The paper thus turns to some contemporary theories of culture in cultural geography and addresses to Derek Gregory's influential book Geographical Imaginations, Gunnar Olsson's Abysmal. A Critique of Cartographic Reason and Edward Soja's Thirdspace. Spatial turn, Thirdspace, Power/ideology, Representation, Cartography. The expression «School of Toledo» typically refers to the translation work of scientific texts from Arabic into Latin, which developed in Spain between the 12th and 13th centuries. However, this label does not do justice to the great cultural significance of the phenomenon. Moreover, it has also given rise to a legend: it is indeed a popular belief that there used to be a real educational institution for translator training in Toledo, supposedly founded by Raymond, archbishop of Toledo and apparent patron of translators. Today, the hypothesis of a real school, although attractive, seems to be unreliable and not supported by the evidence. The aim of this paper is to provide -in the light of recent research -a detailed analysis of the phenomenon known as the «School of Toledo», tracing its history between myth and reality. Middle Ages, Philosophy, School of Toledo, Science, Spain, Translations, Translators. Identifying 'Platonic' logic in the Renaissance necessarily involves making reference to the Plato-Aristotle controversy started by Byzantine scholars in Italy at the time of the Council of Florence for the union of the churches. The references to Aristotelian logic in George Gemistos Plethon's and cardinal Bessarion's works show different leanings and a proper evaluation of what can be described as 'Platonic' logic in the Renaissance requires a close inspection of its consonance with the theoretical stance of Neoplatonic authors such as Proclus and Syrianus, as can be gleaned from the few examples here discussed. The article discusses the relationship between language and truth in Giovanni Pico 's works. This problem is thematized by Pico from the epistle De genere dicendi philosophorum, where he develops an analysis about the limits of language that is strictly related to his conception of philosophy. 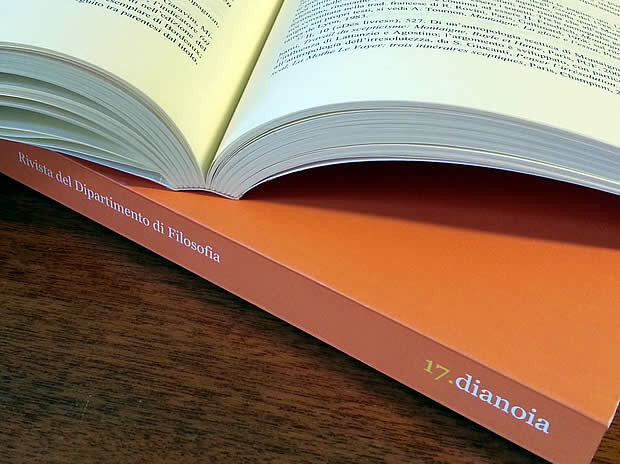 Showing how Pico deepens his investigations, this essay try to show how the criticism of the language has an important role both in the refutation of astrology that Pico offer in the Disputationes adversus astrologiam divinatricem, and in the project of a philosophy of concordia that Pico develops in the De ente et uno. Giovanni Pico, Angelo Poliziano, Ermolao Barbaro, Renaissance philosophy, language. Petrarca and Montaigne lived at a distance of more than two centuries, but some affinities are between them: they both were enthusiastic readers of the classics, wrote in new languages Italian and French were public personalities and scholars of St. Augustine's philosophy and theology: both, above all, loved solitude. For Petrarca, country life is the most important condition to cultivate poetry and to pursue an everlasting fame; in this way he believed to reach a morally blameless love for humanity. Montaigne was assailed with melancholy, after the retreat into his tower-library, but recovered from the crisis by the practise of writing and of self examination; his idea of wisdom consists in a systematic downsizing of human pretensions. Petrarca, Montaigne, Renaissance, otium, wisdom. This essay focuses on the analysis of Voltaire's theory of history on the plurality of its terms; it is a methodological reflection on the study and writing of history, founded on the notions of certainty and verisimilitude; the sketch of a history of historiography, joined with a praise of modern history, rather than of ancient times; the construction of a philosophy of history characterised by an open tension between the disorder of universal history as a series of particular and empirical histories -the histories of nations and the struggle for a 'provisional' order of the esprit humain, result of the laboured construction of a civil history and of the progress on static and unchangeable human nature. Voltaire, philosophy of history, universal history, certainty, verisimilitude, human nature, civilization, progress, reason. This essay attempts to show the relationships between Kant's philosophy of history and his system as a whole, in particular through the comparison with Kantian writings on natural history. This perspective may help to explain not only how the critical foundation of history of nature runs parallel to the critical foundation of Weltgeschichte, but also how an archaeological study of nature becomes the basis of a teleological approach to the history of mankind, consistent with the transcendental perspective. At the end of this comparison, we will find out that moral teleology is the final ground of every teleology including the natural one. In this way, moral foundation of the teleological study of nature will become at the same time the ultimate cause both of the gap between history of nature and history of mankind and of the dualistic character of Kantian anthropology. Ultimately, Kant's conception of human being and of history ofhuman beings takes on the tensions and the limits ofcritical philosophy. Kant, philosophy ofhistory, history ofnature, teleology, anthropology. Scrittura e disconnessione. Note sul "Nietzsche di Derrida"
The paper stresses the pivotal role of the out-of-jointness concept into Derrida's interpretation of Nietzsche's philosophy. An historical excursus towards Derrida's texts shows how the main concepts of Derrida 's early interpretation (writing and style) gradually converge into the out-of-jointness concept, that is finally specified in Nineties Derrida's texts. Extensive critical analyses of the concept as such will be provided, also going into its aesthetical relations with writing and its overall ethicalpolitical implications. Analogies and differences with Levinas 's concept of separation will be focused too. Out-of-jointness understood between activity and passivity of writing -finally displays the anti-metaphysical core of Nietzsche's philosophy, as well as some chance for philosophy to match today's reality and history. Derrida, Nietzsche, writing, out-of-jointness, Levinas.